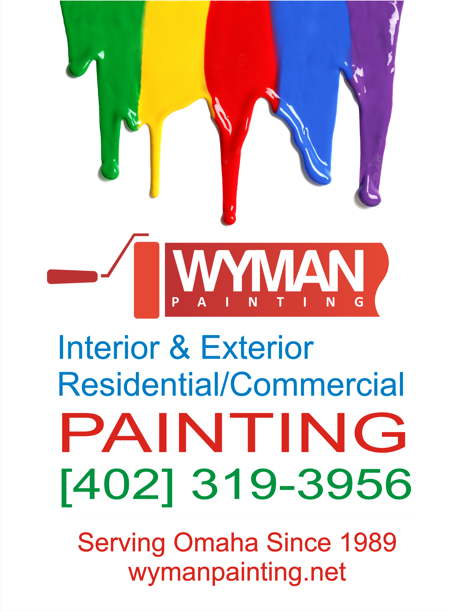 Since 1989, family-owned and operated Wyman Painting is frequently called, as Omaha, Nebraska Commercial Painters. Property management companies like the Bemis Center for Contemporary Arts is one example. Another recent example of exterior building services is Central Sign Supplies, Inc. located in South Omaha. 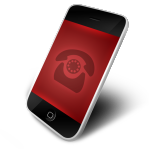 Take a look at before and after pictures. 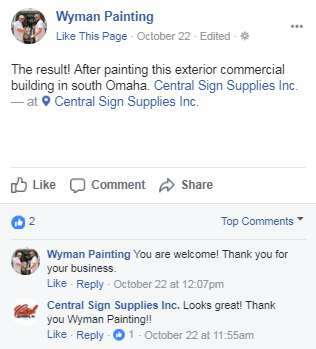 A Central Sign Supplies company representative sounds pleased, giving Wyman Painting positive feedback on the Facebook page. This commercial exterior painting job shows a lot. Father and son Chris and Brandon Wyman have a fantastic work ethic, and their high quality work speaks volumes! 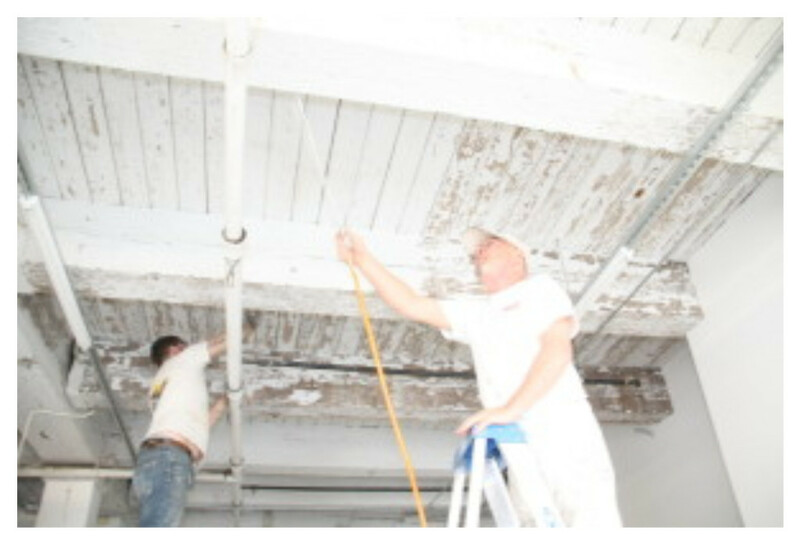 A+ BBB rating also assures your business that we have a long tradition of providing the best commercial painting services to the Omaha metro, including Douglas and Sarpy Counties: Elkhorn, Gretna, Bellevue, Papillion, La Vista, and properties in Council Bluffs, Iowa and Pottawattamie County – our commercial painting work is top notch. 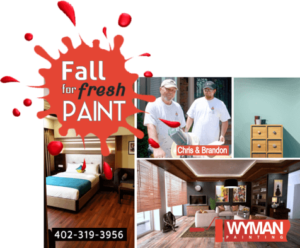 Realtors and brokers also reach out to Wyman Painting again and again to help their clients sell their homes after a fresh coat of paint. This is also an endorsement of the company’s top quality workmanship! 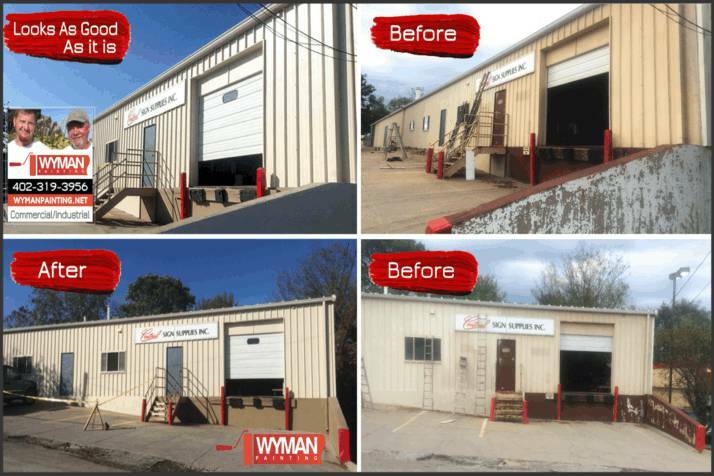 Contact Wyman Painting in Omaha now for a free estimate. Contact Wyman Painting Online Now! 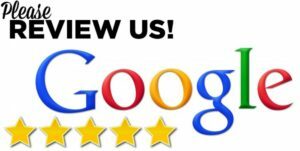 Commercial & Residential Omaha Painting News! As our slogan goes, we arrive with a smile. You’ll grin at our workmanship. Meet the Crew! Chris & Son Brandon! Schedule Interior House Painting Today!